With the Z300, Kawasaki brings the wild excitement of the street-fighter concept to the 300cc class. The Z300's aggressive street-fighter design like the wide ranging models from the popular Z Series, the Z125, Z650, Z650L, Z900, Z900RS, Z900RS Cafe and the Z1000. Its muscular bodywork hints at the bike's performance, while ensuring that the Z300 stands out from the crowd. And the superb level of fit and finish further separates it from ordinary "naked" models. Sharing the high-performance engine and chassis of the Ninja 300, the Z300 offers the acceleration and handling to dominate the 300cc class. Its powerful 296 cmÃ‚Â³ Parallel Twin engine and circuit-developed frame deliver a high level of riding excitement. Coupled with a relaxed, upright riding position and wide handlebar enabling active rider control, urban riding excitement increases exponentially. Parallel Twin engine produces smooth, torquey power at low and medium rpm and powerful acceleration at high rpm. 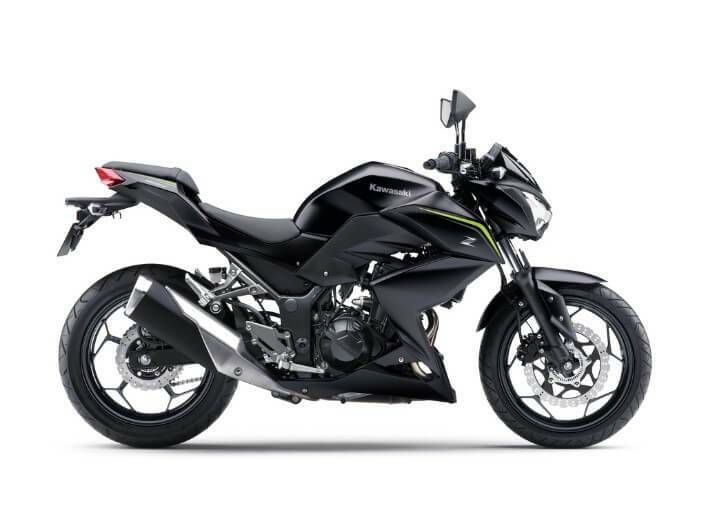 Like the Ninja 300, it features a sleeveless, plated, die-cast aluminum cylinder and lightweight coated pistons. The F.C.C Assist & Slipper Clutch was developed based on feedback from racing activities. The clutch uses two types of cams (an assist cam and a slipper cam) offering a lighter clutch feel and facilitates smoother down changes . 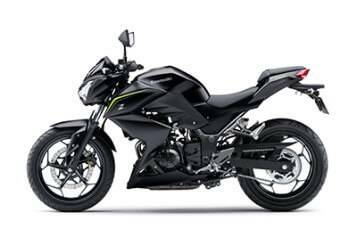 Diamond frame from the Ninja 300 features high-tensile steel components, reinforcement gusseting and rubber front engine mounts. Rigidity balance fine-tuned on the circuit ensures the high level of chassis stability necessary for sport riding. 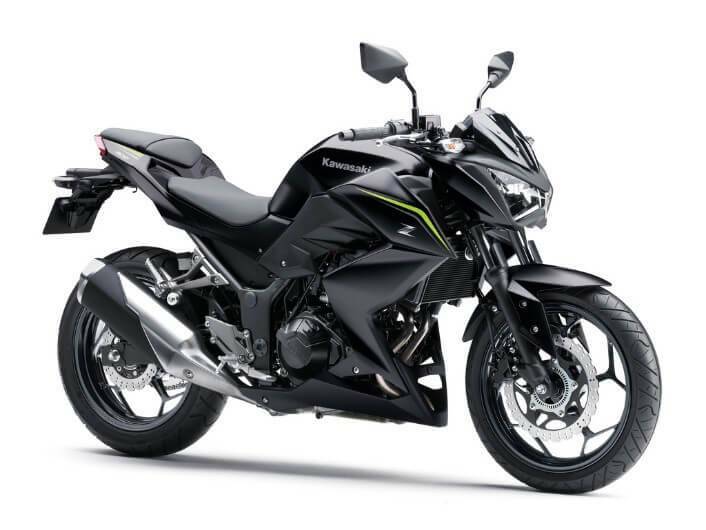 Like its engine, the Z300 chassis, too, is based on the high-performance chassis of the Ninja 300. The circuit-developed diamond frame has balanced rigidity, matched to supple suspension settings, ensuring both a very high level of performance and excellent ride quality. The wide 140 mm rear tyre adds to handling stability. And with the engine partially rubber mounted, vibrations are minimal, further contributing to the high-quality ride feel. With its slightly forward-slanting seat and wide, raised handlebar, the Z300 ergonomics were selected to accommodate a wide range of riders. The natural, relaxed upright riding position is ideal for sport riding or riding with a passenger, in the city or on the highway. Wide set of the handlebar enables dynamic control by the rider and contributes to the Z300's easy maneuverability. Sporty instrument panel design contributes to the Z300's advanced-technology and high-quality image. Large, analogue-style tachometer offers easily legibility and great looks. Multi-function LCD screen functions include: speedometer, clock, fuel gauge, dual trip meters, odometer and Economical Riding Indicator. Amber LED back-lighting contributes to the street-fighter image and ensures clear meter visibility at night. Inspired by the street-fighter image of its Z Series brethren, the Z300 also features a "mass-forward, minimalist-tail" design. Its muscular, athletic bodywork hints at the bike's performance, while accentuating the engine and curved exhaust headers. 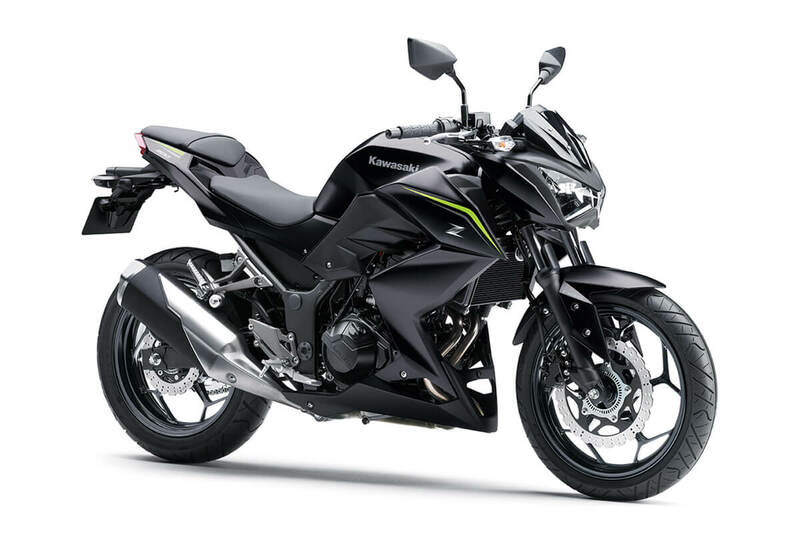 Aggressive-looking whether on the move or standing still, the Z300 has a big-bike presence and an instantly recognisable silhouette that says, at-a-glance, that this is no ordinary "naked" bike. Short-style muffler, minimalist tail cowl and wider rear tyre give the rear of the bike an aggressive, racy look. Compact headlamp cowl with mini meter visor is one of the key styling elements of the Z300's aggressive design. Multi-reflector headlamp from the Z900 reinforces the strong family resemblance. Slim tail cowl design contributes to the Z300's aggressive mass-forward image. Six-sided taillight design also adds to the sporty looks. License plate holder and rear flap complement the sharp look of the tail cowl. Elegant curves of the header pipes complement the Z300 fierce street fighter styling. 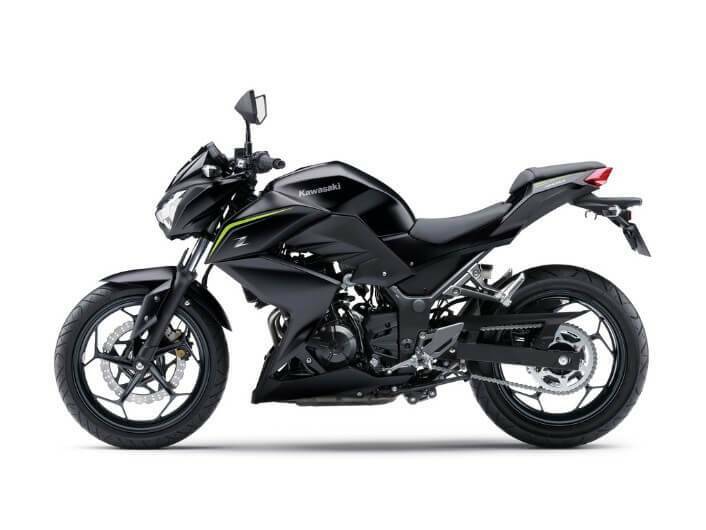 The Z300 features a compact and lightweight Nissin motorcycle ABS unit. Bottom-Link UNI-TRAK with 5-way adjustable preload.